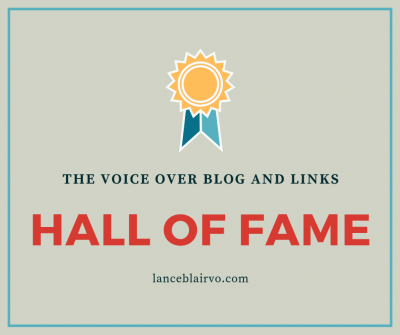 Welcome the the Voice Over Blog and Links Hall of Fame. Tired of social media platforms? Miss news readers and active forums? Want to get right to the source with some of the best quality content out there related to voice over recording and production? Tired of foodie and cat lover pics on Instagram? Then you have come to the right place! You are welcome to suggest blogs and links in the comments section. Thank you.